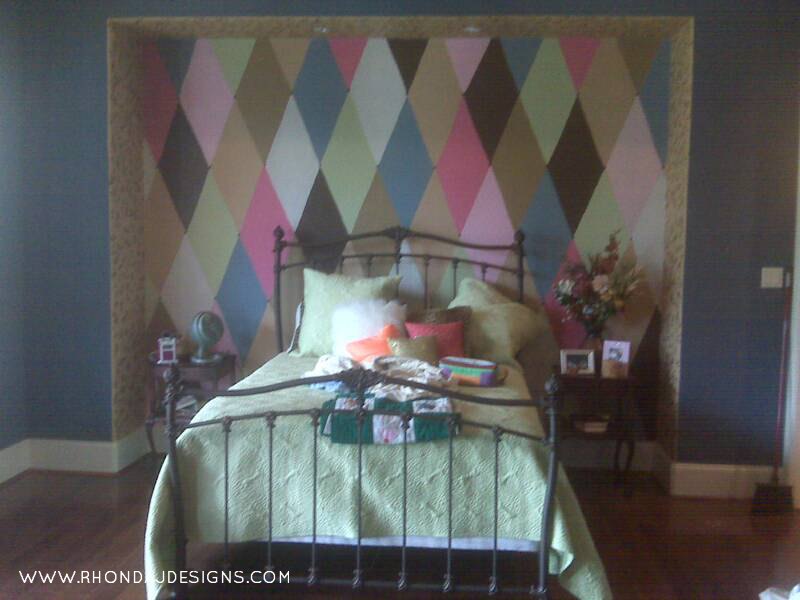 Rhonda is a lover of texture, pattern, and of course COLOR! Rhonda's passion and God given talent for all things decorative, combined with her whimsical "Bohemian" style has enabled Rhonda to design and create beautiful interiors throughout Texas in a variety of styles. Rhonda's faux finishing and design company, Rhonda J Designs, specializes in artistically designed and distinctive finishes for both residential and commercial spaces. Rhonda has over 10 years of experience in the faux finishing industry and keeps herself, as well as her team, on the cutting edge of all of the newest styles and techniques to offer clients. Rhonda’s work has been featured in multiple showcase homes and she was credited for creating a “million dollar closet” for one of her clients, on the TV show Great Day Houston. Rhonda J Designs has earned an excellent reputation for professionalism and customer service. Using her natural ability to integrate layers of color and texture, Rhonda has developed her own techniques in the fields of art, faux finishing, and design. Each project Rhonda J Designs creates is the result of the client's visions and a mixture of Rhonda's artistic expertise. When a client hires Rhonda J Designs, they know they are getting a completely custom, one-of-kind finish or unique piece of art. When she isn't creating works of art, one of Rhonda's greatest joys is to teach and talk one-on-one with her customers. Rhonda loves sharing her knowledge with others, teaching painting classes, and laughing with her employees. On any given day you'll find her running from store to store accompanied by her adorable, four-legged yellow Labrador assistant manager, Riley!